• 423 sqm 3 story – FOR SALE EUR595,000 . 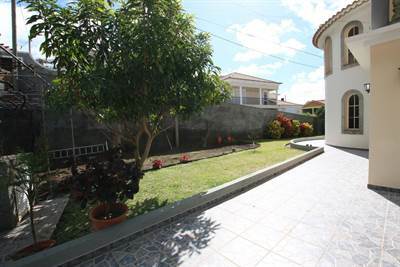 PAUL DO MAR – Seafront and Sunny location in one of the warmest parts of the southern coastline of Madeira ! Right on the seafront !. Calling all Sea lover’s, Surfers and Entertainers !! Property also has a fabulous completely self-contained 2 bedroom loft room accommodation with bathroom facilities, two sea view verandas plus airconditioning!